Let’s face it, getting up in the morning is a challenge. If you’re like most people, you’ve already mastered the fine art of hitting the snooze button in your sleep, only to find yourself rushing out the door when you finally do manage to wake up. 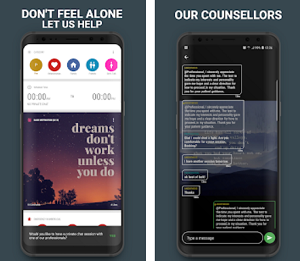 However nowadays with the right app on your phone, you have the chance to help yourself with those issues. We looked and we have for you a simple and yet efficient alarm clock app that can help. Let’s see what the app is all about. What is Light Clock all about? The Light Clock is easy to use, simple and yet highly efficient alarm clock app which is offering all the users to set alarms as it suits them and plus get additional features to use like a stopwatch and timer too. 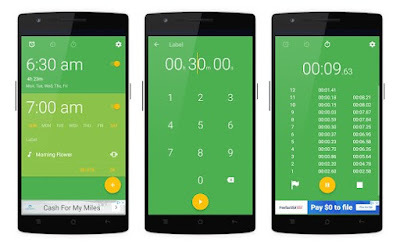 With the help of this amazing alarm app developed for Android users, the user will also get the chance to customize the features with themes that he likes and choose between numerous themes offered by the app. Directly on the user’s phone, users get 3 practical features all inside one simple app. This alarm clock app and the amazing features offered on it is allowing the users to enjoy the most customizable alarm clock, timer, and stopwatch available in one place. The timer, the stopwatch, and the alarm can be customized with many different themes available in the app. 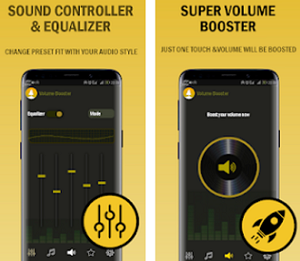 By using this app, the user is able to choose among his favorite music, sounds or tunes to use it as an alarm and even choose to set multiple alarms with using the option for snoozing too. Each user on the app is able to set a time for the alarm, with a maximum number of snoozes he wants, all easily and without much effort. The timer available on the app allows the user to set the exact time for it, the countdown and the repeat of it with loop timers option offered on the app, giving the users a chance to set it perfect for any situation they need it. The app’s stopwatch offered has up to 99 hours duration. Depending on the user’s needs and preferences, the alarm, the timer and stopwatch can be set easily, all offered directly on the phone of the users. Download it now on Google Play for free to set your favorite music or tune as an alarm to wake you up!